The traditional office structure mandated a strict set of administrative levels and ranks, and communication for employees was limited to their tier and those immediately above and below it. This is changing, and has changed already to some extent as companies embrace more open office environments with free communication across all departments. Issues remain, however, when the communication changes from discourse to questions. There is a very large intimidation factor when it comes to questioning a statement or decision made by a boss or superior within your organization. This is an anecdotal assertion, but one made with the backing of 5.7 million Google results for "questioning boss", populated almost entirely with multi-step instructional articles telling a reader all the risks inherent in questioning your boss. Also, there's the tie-in to the Nuremberg Defense, that blindly following orders exempts you from personal liability, and is therefore the optimal solution. The news lately has been populated with reasons why one should question their superior, or at least, not be afraid of doing so. The first is obviously the Asiana Airlines crash in San Francisco. According to early NTSB reports, there is a possibility that the flight captain misread the instruments and that others in the cockpit did not speak up to correct him. Cass Howell, an associate dean at Embry-Riddle Aeronautical University, analyzed this, and other flight emergencies, for Fox News, saying "There are dozens and dozens of accidents that were preventable had someone been able to speak up when they should have, but they were reluctant to do so for any number of reasons, including looking stupid or offending the captain." Also in the news is the story of the government administrator that, faced with a perceived cyber attack, spent half their department's IT budget taking their entire network offline and destroying computers. This news is leaking now, but occurred in late 2011/early 2012. Warned by Homeland Security that a possible malware infection was in the agency's system, the Economic Development Administration's (EDA) CIO did not update the department's antivirus software or system scanners, or take any steps to actually identify and isolate any possible infections. The CIO instead hired a consultant, who identified the problem and fixed it, though could not provide a guarantee. This prompted the CIO to defeat the malware, which they assumed was an attack from a rogue nation-state, by physically destroying the computers. Desktop computers, printers, cameras, keyboards, and mice -- mice! -- were destroyed in an attempt to thwart a malware attempt that was no longer there. The damage in these cases are drastically different. One resulted in tragedy, deaths, and injuries. The other resulted in a hilarious-in-hindsight waste of taxpayer funds, only stopping because they ran out of those taxpayer funds. And in both cases, it remains unclear exactly how much discouragement the persons in charge -- the captain and the CIO, respectively -- received from their glaringly incorrect actions. The mistakes, in both cases, are glaring enough that its safe to assume at least one subordinate knew they were wrong and failed to speak up. 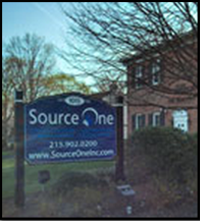 At Source One, we work to keep all communications open across all tiers of our internal hierarchy. As you may have seen with our Charity Pool Tournament, we are actively pursuing new ways to encourage all staff members, regardless of rank, to speak up as we foster the improvement of strategy and the development of new ideas. As business practices modernize, healthy communication, both vertically and horizontally, is rising in importance. How well does your organization handle questions on decision-making?